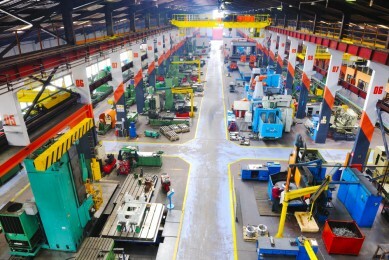 Do You Require Skilled Factory Workers? Automation reduced the number of workers needed in factory environments that said there is still a need for physical manpower. Across Europe processing type ventures struggle to source suitable factory workers. In truth the situation arose through all elements of the chain Production > Processing > Supply > Sales squeezing the life out of each other. Reduction of manpower and earnings led to the mass migration away from factory environments. Internally standards continually to fall, it’s a problem. Skills Provision has the ability to place large numbers of factory workers, but they are only willing to do so for Companies that adopt fair policies. These workers should not be looked upon as a source of cheap labour, think of them as suitable manpower. Factory based ventures who have utilised manpower from Skills Provision have flourished. The main difference is that of working standards, these people want to be there, they are motivated, polite and hard working. For more details on the placement of factory workers please call, +44 (0) 2079890750, alternatively you can email enquiries@skillsprovision.co.uk or utilise the website forms. A member of staff will be on-hand to deal with your enquiry.